Our school year began with several stops and starts due to the powerful impacts from Hurricane Florence and Hurricane Michael in our area. I remember working on planning lessons at home during Hurricane Florence, shifting my plans around to reorganize the lessons to catch my students up once we returned. While working on these plans, I received an email from one of my students using her parent's email account. She was emailing to ask if we could collect donations for the people in our state impacted by Florence. When we returned to school, I was met by other students who were also wondering what can we do to help. Our children's curiosity and desire to help provided the perfect situation to bring our classroom community together to serve our larger community. We set up a service morning at the Diaper Bank of North Carolina. Michelle, the founder of the Diaper Bank of North Carolina, shared her story of how she started the Diaper Bank. She saw a need in the community, and began the diaper bank out of her dining room! 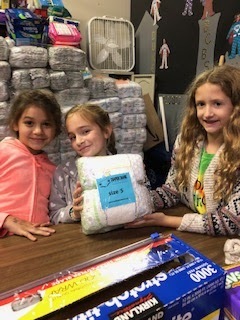 She shared with the children how the Diaper Bank had already delivered over 1 million diapers to the eastern coast of North Carolina in response to Hurricane Florence! 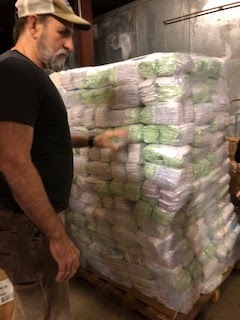 The emergency deliveries were in addition to the normal organizations and families who rely on diapers from the diaper bank. 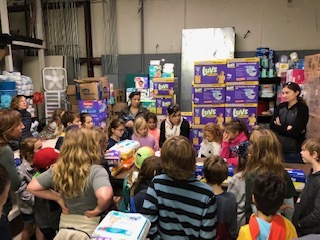 The children and our parent volunteers spent the morning working in teams to package diapers to be distributed throughout North Carolina. 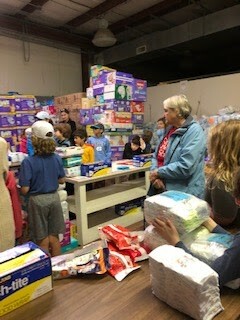 We managed to package about 24,000 diapers, filling three pallets taller than our tallest teacher - Michael! You could feel our school's mission come to life through our children at the Diaper Bank. They were responding to a call to serve, using their hands and feet to be a part of positive change in the world. It is the start of a new school year. An opportunity to begin, again. This is always an exciting time of year for us, the teachers in Forest Class. Our unique family grouping in the Lower School provides us with the benefit of having students for two consecutive years, third and fourth. This means we have students who remember and recall classroom traditions and experiences from the previous year, and who rise to be the leaders of those traditions and experiences. While each year carries with it the familiarity and traditions of the previous year, each year a different classroom community comes together. We like to remind our students that each year is a new Forest Class. Everyone is older than they were the previous year, some students are rising second years, and some are new to the school. The sum of all of us this year creates something new than we had last year. One of the Quaker tenants that comes to mind during the first couple weeks of school, when community building is in full swing, is the one about the truth being continually revealed. 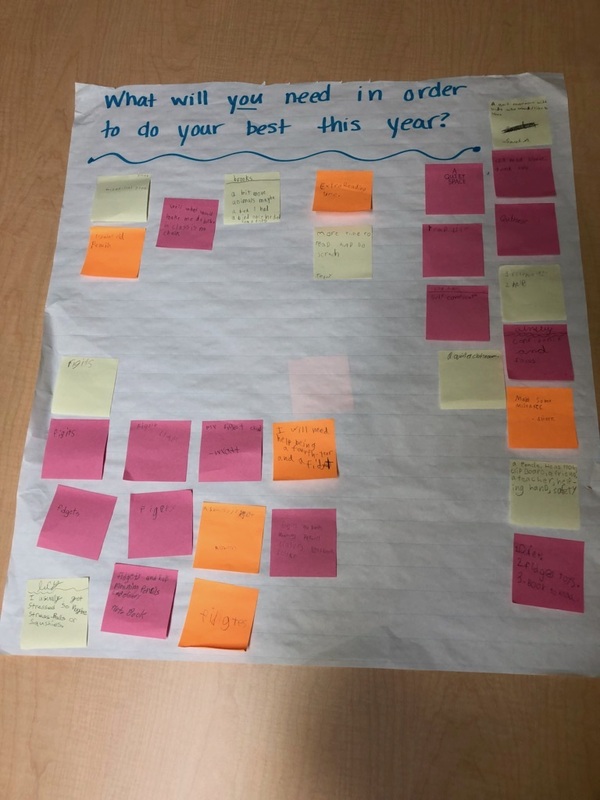 Each year we work with our students to reveal the type of classroom community they desire and need that year. As a class, we work to create a class contract, a commitment we will make to each other throughout the school year. This year's group of Forest kids brought surge of energy and creativity to this process. Students reflected on the following queries individually, and then we came together to discuss them as a class. What will you need in order to do your best this year? 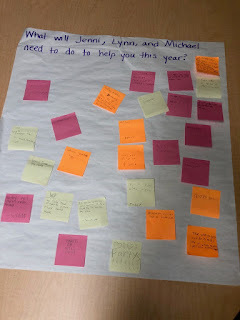 What will Jenni, Lynn, and Michael need to do this year to help you do your best? These posters remained on our walls the first couple weeks, as we revisited our students' responses to these important questions. The students responses were genuine and authentic, and carried the weight of their intentions for the year. There were students who wanted to learn long division and multiplication, and students who wanted to master a cartwheel. Several students said they needed quiet space to think and create, and peers and teachers who listened. 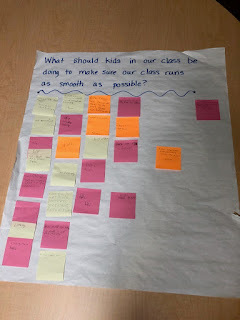 After reflecting on these queries, we had a class discussion about the classroom we would like. 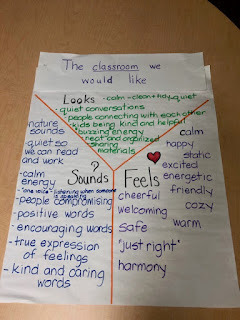 What does the classroom look, sound, and feel like? The next step was to gather phrases and sentence students, and then putting them together into a contract we edited together as a class. The final contract for the 2018-2019 Forest Class is now signed and displayed as a reminder for us to revisit throughout the year. 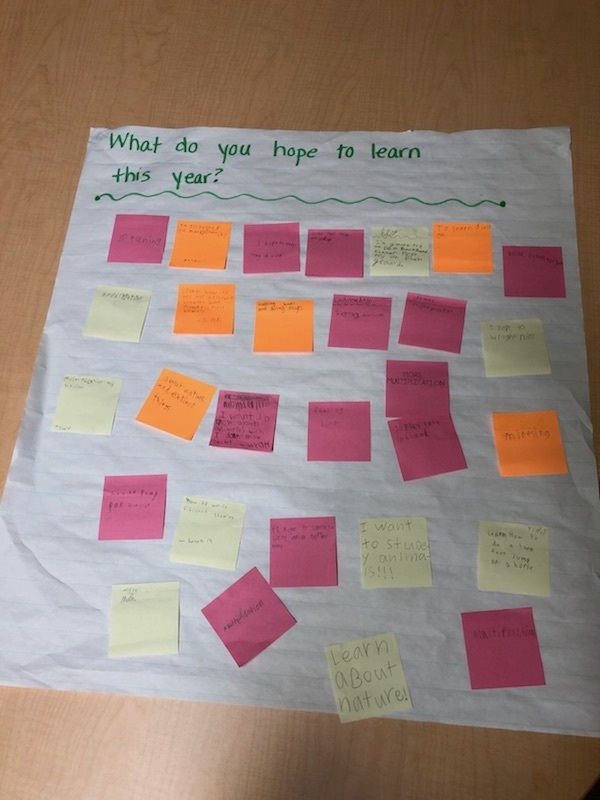 We want to learn and grow this year. We want to become better readers, writers, mathematicians, scientists, researchers, musicians, athletes, and friends. 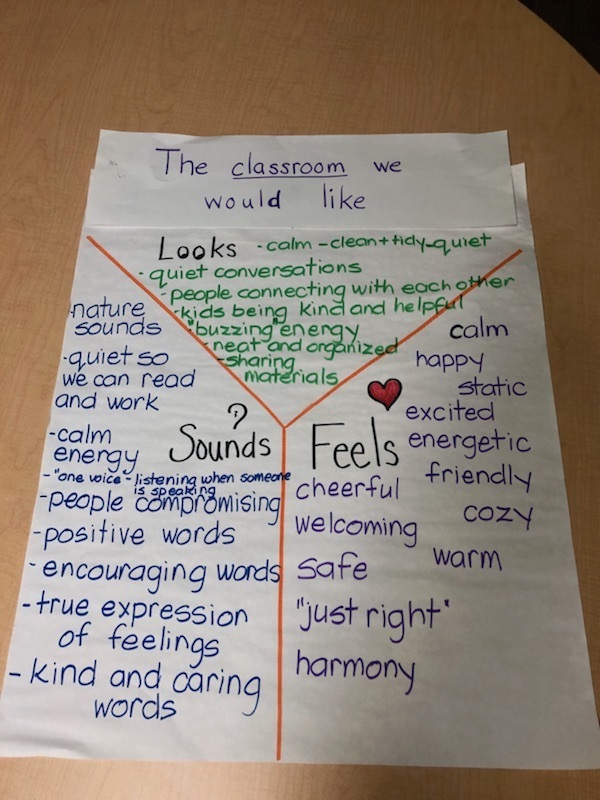 We, Forest Class, will work together to create a classroom community where everyone feels welcomed, included, safe, and encouraged to be their best and do their best. We will create this classroom community by being kind and doing our best to bring a positive attitude to school each day. We will work and play together, being sensitive to the needs of others. When someone is having trouble, we will look for ways to help. No matter if we win or lose in a game, we will remember to be encouraging to everyone and have a good time. When someone is speaking we will pay attention, and listen to their words. 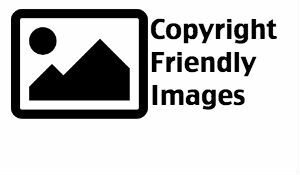 While having fun, we will look out for each one another’s safety. When moving through the classroom, we will move calmly and thoughtfully, with walking feet. We know we will all make mistakes and conflict will happen. When we make a mistake or are in a conflict we will remember that problems have solutions and are opportunities in which to learn and grow. We will determine the size of the problem, and use our minds to make a choice to arrive at a peaceful solution. We will seek to remain flexible, forgive and forget, and make space for people to move on from a disagreement or problem. When a problem is too big for us to solve on our own, we will request a conference with a teacher. We will speak to one another with thoughtful and kind words, and listen with curiosity to the other person’s point of view. We, Forest Class, sign this contract in agreement to work together toward our goals. Our Ranger from 2/5 was Lily Mac . She is 9 years old and she was born in Durham, NC. Her family includes her parents and herself. For pets she has three dogs and a leopard gecko named R2D2. The things she likes to do best at home are play Minecraft and read. The things Lily Mac cares most about in the world are her pets and her family. Her favorite food is mac and cheese. Her least favorite food is liver. Her hobbies are drawing and acting. When she goes on vacation the place she most likes to visit is Asheville to see her grandpa. Her dream vacation would be to visit, The Great Wolf Lodge. When she grows up she wants to be an actor, a veterinarian, or an artist. Our Ranger from 4/16 was Ellora . She is 9 years old and she was born in Durham, NC. Her family includes her brother and her parents. The things she likes to do best at home are building with Legos and play inside and outside and read. The things Ellora cares most about in the world are family and friends. Her favorite food is tacos. Her least favorite food is brussel sprouts. Her hobbies are swimming, scootering and building with Legos. When she goes on vacation the places she most likes to visit are Vermont and the beach. Her dream vacation would be to visit the American Girl Place in Chicago. When she grows up he wants to be a singer. Our Ranger from 3/19 was Ryder. He is nine years-old and he was born in Florida. His family includes his parents and himself. For pets he has 4 dogs. The things he likes to do best at home are play video games and watching The Simpsons. The things Ryder cares most about in the world are fidget spinners and the Simpsons. His favorite food is bagels. His least favorite food is tomatoes. His hobbies are drawing and collecting fidget spinners. When he goes on vacation the place he most likes to visit is Universal Studios. His dream vacation would be to visit Epcot. When he grows up he wants to be a scientist. Our Ranger from 4/9 was Fareed. He is ten years old and he was born in Raleigh, NC. His family includes his brother and his parents. For pets he has two dogs and a Beta fish. The things he likes to do best at home are read and play basketball. The things Fareed cares most about in the world are his family and books. His favorite food is pasta with jalapenos and buffalo wings on the side . His least favorite food is green peas. His hobbies are playing basketball and reading. When he goes on vacation the place he most likes to visit is Egypt. His dream vacation would be to visit Italy. When he grows up he wants to be a professional basketball player.